Ryan Gallagher | RJGallagher.co.uk: Squatters' Rights? It could potentially criminalise swathes of homeless people and cost over £700 million to implement. A controversial clause that will outlaw squatting in empty residential properties for the first time in England and Wales was given the green light in the House of Lords late last month. The government argues the change is essential to protect distressed property owners. Amid rising unemployment and the worst housing crisis in a generation, however, there are concerns that it might further marginalise some of society’s most vulnerable. Under existing law, if squatters move in to an occupied home (for example when the residents are on holiday) police already have the powers to immediately remove them. The new law will broaden the scope of these powers, and will extend to residential properties that are empty and not being lived in. It will allow property owners to get police to, without applying for an eviction notice, arrest and remove squatters, who will be made to face a maximum one year jail sentence or £5000 fine. “Ultimately the best way to end squatting will not be through fines and criminal sanction but by ensuring all homeless people, not just those deemed a ‘priority’, get the help they need,” says Duncan Shrubsole, director of policy and external affairs at homeless charity Crisis. The reform will represent a fundamental shift in how squatting is dealt with across the country, bringing an end to the long-held principles of “squatters’ rights”. Historically in England and Wales, squatting in empty residential properties has been considered a civil dispute between the squatters and the landlord. As long as a squatter has not broken in and remains in the house, they can’t be forcibly removed and property owners have to get a court order to get people out. Within months that will no longer be the case. “I have been contacted time and time again by MPs and constituents about the appalling impact that squatting can have on their homes, businesses and local communities,” said Conservative justice minister Crispin Blunt in a statement last year. “This is not media hype. It can and does really happen, and when it does it can be highly stressful for the owner or lawful occupier of the property concerned. But a number of groups have expressed serious concerns about the ramifications of criminalising squatting, the provision for which is contained in the Legal Aid, Sentencing and Punishment of Offenders Bill. A survey conducted by Crisis last year showed 39% of homeless people had resorted to squatting at some point, a factor that prompted organisations including the Law Society, The Criminal Bar Association and housing charity Shelter to argue against criminalisation. While the Criminal Prosecution Service has backed the new law, opposition has come from a number of unexpected quarters. In a speech made before the House of Lords on 27 March, Lord Paul Strasburger – formerly the director of Safe Estates, a security firm tasked with keeping squatters out of empty properties – launched an attack on the part of the Bill dealing with squatting. Though squatting is set to be criminalised in empty residential properties, campaigners have claimed a small victory in that the government is not pursing the criminalisation of squatting in commercial properties (such as, for instance, disused warehouses). Assurances have been given by ministers that those who occupy abandoned or dilapidated non-residential buildings will not be committing the new offence, and will be dealt with through the civil eviction-order process. The government has also pledged that students who occupy academic buildings or workers who stage sit-ins to protest against an employer will not be committing any crime. “That was quite a big concession to win along the way,” says Joseph Blake, a spokesperson for squatters’ campaign group Squash. “But it was a struggle to get what is a serious piece of legislation heard properly – it was debated late at night and never properly scrutinised. There are currently over 700,000 empty homes in England, 279,000 of which have been vacant for over six months. In March new official statistics revealed that the number of people classed as homeless has jumped by 14%, with 48,510 households accepted as homeless by local authorities in 2011. The increase is the biggest in nine years and was described by Shelter as “a shocking reminder of the divide between the housing haves and have nots in this country." The government has vowed to “tackle the root causes of homelessness, to provide affordable homes and to bring more empty homes back into use” to counteract any negative impact that there may be on homeless people through the implementation of the squatting crackdown. Until it meets its words with actions, however, the chances are squatting will continue unabated well into the future – regardless of the consequences. The common image of squatting presented by many newspapers is of young, middle-class people dwelling in unoccupied mansions while collecting state benefits and living a life of leisure. The reality, though, is far more complex and has a long history dating back hundreds of years. During the Middle Ages, in feudal times, squatters’ rights allowed peasants occupying otherwise unused land to claim ownership by virtue of possession. The primary purpose of squatters’ rights is to encourage the efficient use of property – for example allowing a person who has a legitimate use for property to enjoy that use when the owner allows the land to lie dormant. Amid the Peasants’ Revolt in 1381, and again with the Diggers in the 1640s, squatting was a significant issue. The Diggers, founded by anarchist Gerrard Winstanley, were peasants who cultivated waste and common land, claiming it as their rightful due. After both World Wars there were squatting movements, fuelled in part by high levels of poverty and economic turmoil. In 1946 large numbers of squatters in England took over empty buildings including army camps. The next wave came in the 60s and 70s while the country faced a major housing crisis. It was around this time that squatting also became popular among some groups who saw it as a cultural move towards an alternative style of living. Today squatting is relatively common in most of Britain’s major cities. 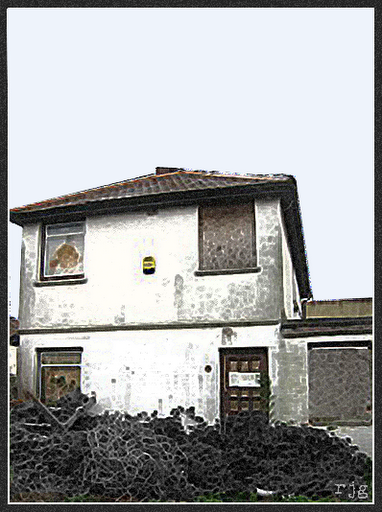 It is estimated that there are around 20,000 squatters across the UK. “The squatting I have been aware of has been in empty buildings that have been neglected for years. The people who entered them put them to good use and sometimes helped keep them in good repair. Other squats I have heard about have been where homeless people have quietly found residences in empty buildings. But critics say squatting is a costly nightmare for property owners and is often a blight on communities. Up to £790 million: the estimated cost of criminalising squatting in the first five years, according to a report produced by campaign group Squash, which received the backing of academics and politicians including former Liberal Democrat home affairs spokesperson Baroness Sue Miller. 720,000: the number of empty homes across England. 48,510: the number of households accepted as homeless by England’s local authorities in 2011. 39%: the percentage of homeless people who have squatted at one time or another, according to charity group Crisis. £5000: the fine that could be imposed on anyone caught squatting once the new law comes into force in England and Wales later this year. This article first appeared in issue no.922 of The Big Issue in the North.